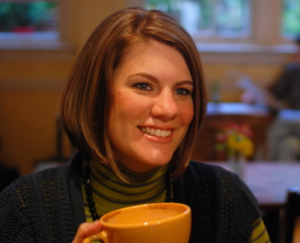 Rachel Held Evans is a New York Times best-selling author whose books include Faith Unraveled , A Year of Biblical Womanhood, and Searching for Sunday. Hailing from Dayton, Tennessee—home of the famous Scopes Monkey Trial of 1925— she writes about faith, doubt and life in the Bible Belt. Rachel has been featured in The Washington Post, The Guardian, Christianity Today, Slate, The Huffington Post, The CNN Belief Blog, and on NPR, The BBC, The Today Show, and The View. She keeps a busy schedule speaking at churches, conferences, and colleges and universities around the country. A lifelong Alabama Crimson Tide fan, Rachel is married to Dan. Her preferred writing fuel is animal crackers and red wine.